More than 80 years after it was predicted, physicists have created metallic hydrogen, a mysterious form of hydrogens that is able to super conduct electricity without resistance at an ambient temperature. Scientists were already suspecting that hydrogen could exist as a metal in certain parts of the Universe, but it is the first time that metallic hydrogen has been created on Earth, and the material is very strange and fascinating. 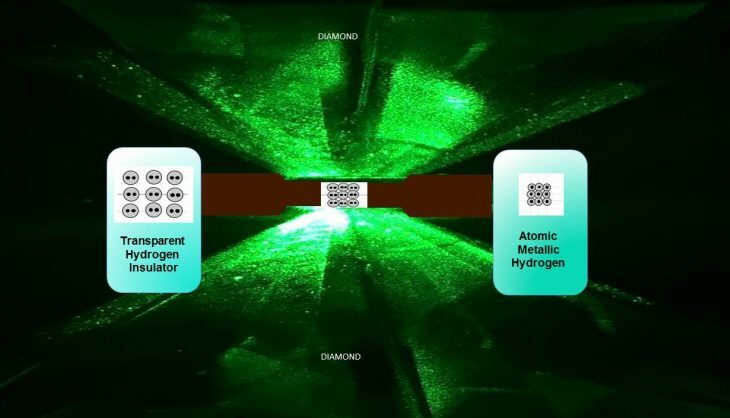 Almost a century after it was theorized, Harvard University scientists Isaac Silvera and Ranga Dias claim to have managed to create the rarest material on the planet, which could eventually become one of the most valuable: atomic metallic hydrogen. In the course of their study, published Thursday in Harvard Magazine, researchers squeezed a small sample of hydrogen at a pressure higher than the center of the Earth: 495 gigapascals, or more than 71.7 million pounds per square inch. The research, published in the journal Science, offers an important new window into understanding the general characteristics of hydrogen and offers tempting suggestions for potentially revolutionary new materials. The periodic table can be divided into two categories: metals and non-metals. Among many other properties, metals are lustrous (bright), good conductors, and usually solid at room temperature, while nonmetals have an opaque appearance and are poor conductors. As most of us learned in high school, hydrogen – the first element in the periodic table – is a non-metal. But back in 1935, researchers predicted that, under certain conditions, this commonly studied element might have its atoms so attached that the material could not only take metal properties, but could become a metal. Why Metallic hydrogen discovery can be revolutionary? Atomic metal hydrogen can help scientists answer fundamental questions about the nature of matter and can have a wide range of applications. Hydrogen metal has been the source of so much speculation over the years because it is expected to have some incredible properties. More importantly, physicists think that metallic hydrogen could be a superconductor at room temperature, which would mean that the material could conduct electricity with zero resistance, and not have to cool first at super low temperatures. Many superconducting materials are used to create powerful magnetic fields magnetic resonance machines and maglev trains; but are only able to achieve superconductivity at temperatures below 269 degrees Fahrenheit, making them expensive and impractical for many purposes. If scientists could achieve that same superconductivity at room temperature, it would be great because it means we could create things like power lines that will not lose electricity between the power plant and our homes. At this time, the network loses up to 15 percent of its energy as heat, due to the resistance. In addition to transforming life on Earth, the material could play an essential role in exploring space and “revolutionizing space engineering” by becoming the “most powerful rocket propeller known to man,” Silvera predicts, adding that that would allow “easy exploration of the outer planets”. 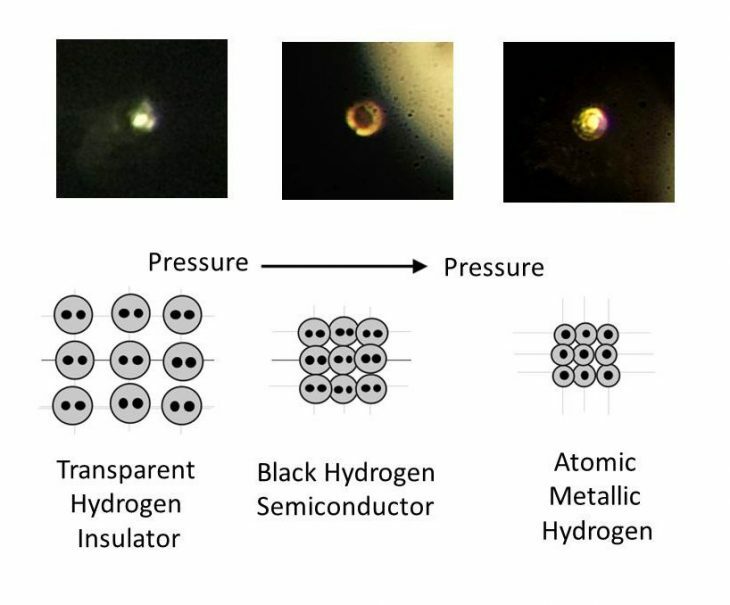 To be clear, the metallic hydrogen that Silvera and her team have created is only about 1 to 1.5 microns thick, and 10 microns in diameter, making it small. And until the peer review had confirmed that their sample was the actual deal, they were reluctant to do too much testing on it, so we have no evidence so far to suggest that the material is a superconductor. That is something that will be investigated in the coming months. But for now, we know the sample is real, and has been stable in Silvera’s lab since October. To create the sample, the team caught hydrogen gas inside a small diamond coffin, cooled it to 5.5 Kelvin (-267.65 degrees Celsius and -449.77 degrees Fahrenheit) and put it under incredibly high pressure. And when we say high pressure, we mean high pressure. In 1935, it was predicted that metallic hydrogen would emerge at 25 gigapascals (GPa) pressure. But Silvera and his team finally achieved pressure between 465 and 495 GPa – almost 20 times more than originally planned. For the perspective, 1 GPa equals 1 million kilopascals (KPa), and the mean sea level pressure on Earth is 101,325 KPa. 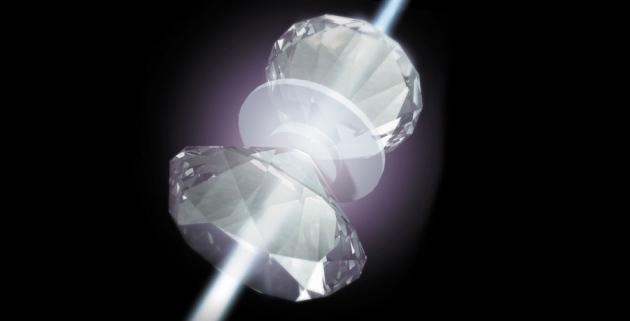 The team quickly saw their changes in appearance, but to verify that what they had created was metallic hydrogen, they used spectroscopic measurements, including measuring their reflectivity, and showed that what was originally a standard hydrogen gas (H2) had been transformed In an atomic metal. Now that we know that there is metallic hydrogen, many questions remain unanswered. The biggest of these is whether metallic hydrogen is a liquid or a solid, as researchers have predicted could be both. They are also trying to connect the live metal to test if it really is a superconductor at room temperature; something that is possible if it is a liquid or solid. Oddly enough, Silvera says that it is also likely that the metallic hydrogen is metastable, meaning that even if it releases the pressure, it will remain metallic. A common example of a metastable material is diamond, which is a metastable form of carbon. To make diamond, the graphite is put under pressure and high heat – something that happens naturally under the surface of the Earth. But even when diamonds are dug out of the ground, they are still diamonds. There are exciting times ahead, and many more discoveries to be made. But today we have demonstrated that the most common of all elements of the Universe can exist in a completely new way.